As the most highly sought after South Asian DJ in Southern California, Raj has been entertaining crowds since 1995. With his creative mixing skills and quick ability to read the energy in any room, he is able to diversify his music from Dance to Hip Hop to South Asian sounds. To his events he brings forth a level of professionalism, talent, and energy which is unmatched. As a Master of Ceremonies, his vocals are clear and concise. Raj's musical talents have allowed him to perform at almost every venue in Southern California over the years, from nightclubs to boutique hotels. Although, these days, his career mostly focuses on high-end private affairs. Many of these events have been featured in Platinum Weddings, In Style Magazine, Ceremony Magazine, Style Unveiled, South Asian Bride Magazine and Sony TV, along with many more. Raj has had the honor of performing in front of dignitaries, celebrities, sports stars, travel the United States, and Internationally. For the South Asian scene, if its an event that "matters" you can bet, Raj will be there. 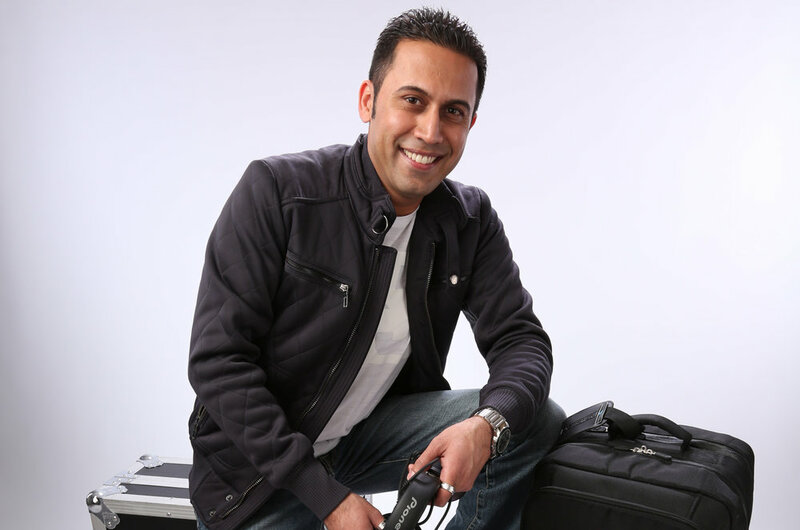 Raj is the DJ who has been credited by clients, professionals and his peers as the guy who knew how to put life in a microphone, turntables and especially the party for Southern California's South Asian scene.